This sermon, “The Spirituality of Children,” was originally delivered to the congregation of Harmony, a Unitarian Universalist Community, on September 3, 2017. It is published here with permission from the writer, with all rights reserved. I want to talk a bit about the spirituality of children, a topic I’ve been interested in for about 20-25 years. I started out as a research psychologist in social development psychology, which is perfect for ministry. We did an infancy study for 48 months where we just watched fathers play with babies, recruited through two hospitals in Dayton and Cincinnati. I ended up being the coordinator for that study, and I learned a lot about babies and how they develop. Then I became a youth minister and a teacher, so I’ve been with kids for a long time. I had an office in a Catholic school in the 7th/8th grade wing. For the kids I worked pretty closely with, often kids who did not want to be in class, I had two couches. The teachers would say, “Take your book and go down and see Karen, sit on her couch for a while.” I did a lot of listening. I also did a lot of research and I found that I was really attracted to neuropsychology. There’s a whole lot going on about the study of neurons in the brain and spirituality and its connections. So today I want to talk in a couple of broad strokes. One is talking to you about your child’s spirituality, and also your spirituality, because you were a child and your spirituality comes that way. As human beings, we come hardwired. We don’t learn spirituality; we are hardwired from the time that we’re born with spirituality, and research has shown that. Also, spirituality and religiosity are two different breeds. Spirituality is the quality of being concerned with the human spirit or soul as opposed to material and physical things. Religiosity is a strong religious feeling or a belief. What we think happened with the evolution of organized religion is that people began to do spiritual practices from way early on. And so people began to form rules and regulations and theories about God out of that spiritual practice. When that happened, we got quite intense and detailed about different ideas about God. But we do know that God was present in the lives of early humans. The idea of God comes from a couple of different things. Anna-Marie Freud, who was the daughter of Freud and considered the mother of child psychology, understood that babies are born with something called “Mother Love.” This describes suckling behavior, and when they’re fed that’s called stomach love. And when babies don’t have it, they will cathect to an object (which is known as object relations psychology). When our babies don’t have the breast, they will look for something else. They can cathect an object to actually replace mother love with. Your babies probably had a blanket or a toy or something like that. I know all my grandchildren do. The toys have names, and children will go to sleep with them, take them wherever they go. Anna-Marie Freud spent a lot of time studying how babies bond. One of the things she proposed is that by the time babies are about 2 years of age, they have an idea of a benevolent person or a benevolent being that is strong. If you remember your kids or your grandchildren when they’re about age 3, they often really get into superheroes and all of that. Fantasy and all of that becomes very active in our brains at this age. Neuroscientist Andrew Newberg and therapist Mark Robert Waldman wrote a book in 2010 called How God Changes Your Brain. This is not a treatise about believing in God. One of the writers is an agnostic and the other one is an atheist, but they’re both scientists, and what they’ve done is studied the effects of spiritual practices on different groups using brain scans. They’ve looked at Franciscan nuns, Sikhs, Sufies, yoga practitioners, and others to see what happens to your brain when you meditate. They found some amazing things. If you say “who is God?” you’re in the frontal cortex idea. We have all intellectual ideas about who God is, but researchers are finding that the anterior cingulate has these funky neurons they’re called von Economo neurons, which are a type of mirror neurons. (Like if you see somebody yawn and it makes you yawn, that’s a mirror neuron response.) These von Economo neurons are special because they actually mirror people’s experience back to you. So if you have a daughter who cries or a son who cries and they bring tears to your eyes, it’s believed that these neurons are responsible. Spirituality, above all else, is based in relationship and connection. It’s kind of our interpretation of what is happening in our life and what that means. 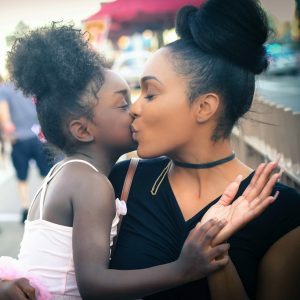 So what does that have to do with raising a child who is spiritual? Children are highly spiritual, but we get into our everyday patterns as parents and we don’t really hear a whole lot of that. They they have the tendency to natter on a bit, don’t they? They’re sitting in the car and they talk and talk and talk and you go, “Uh huh, uh huh…” I was guilty of this, too. I have the tendency with my kids to interrogate rather than interview them. There’s a difference between saying, “What did you do that for?” versus “Tell me what you think about …” With the latter, you’re really showing interest in your children and listening to what they’re saying. Back in 1990, a child psychiatrist and Harvard professor emeritus named Robert Coles published a book about his work exploring the religious imagination of children all over the world in diverse cultures. Coles was very interested in looking at and interviewing children, and having them draw God as they saw it. He went all over the world and talked to children—Hindu children, Muslim children, children who didn’t have any religion, and so on. Coles ended up with 293 pictures these children had drawn of God. All but 38 were drawn of God’s face. What he concluded is that face-to-face relationships give children a kind of experience of God. Children’s ideas about God are deeply entwined with your parenting, in a lot of ways. The fact that you have created a space for them, and that you listen to them, is extremely important, That you hold them when they need to be held, that you comfort them when they’re crying, that you answer their cries when they’re babies—all of these give children an idea of a benevolent being that’s going to take care of them. Robert Coles suggested that you ask your children: If you could ask God any question, what would that be? And just listen to what they say, because they’ve already formed their own ideas about that. Listening is a key part of spiritual parenting. Lisa Miller, who wrote The Spiritual Child, has done quite a bit of research into the brain and children, and she believes there is a universal innate spirituality. It’s about having some kind of a transcendent relationship—no matter what culture you come from or whether religion is involved. Carl Jung once said you never need to teach religion to children because everybody will have what he calls a numinous experience, which means some kind of experience of the unknown, the mysterious, or the mythical. Lisa Miller says that we have so much religion organized around the concept of reciprocity. God as a vending machine, and if you do this, good things will happen, and so on and so forth. Miller says the business of God is creating and that’s it. That’s all there is. Where you really observe spiritual development in young children is in their wonder and awe. You’ve seen when kids just literally stop and they’re down on the ground looking at something—you can’t figure out what they’re looking at or why they’re so mesmerized. That sense of wonder and awe, and their connection to it, is really crucial. That’s why it’s good to encourage kids to be in touch with nature and animals. In adolescence, kids begin to search for meaning, purpose, their call or connection. There are many ways to help teens as they develop their spirituality, but one of the most powerful strategies is storytelling. I grew up in a very storytelling family. In fact, my one grown child thinks that my dad’s side of the family is absolutely nuts, because they tell stories all the time about these characters. But children have the need to know where they come from. My mom died when she was 88. But every birthday, she would call me and she would give me all the details of my birth: the weather, it was 1945, the war was just over, we had a big snowstorm in Dayton, Ohio, they almost didn’t get to the hospital, and my dad was delighted with me. Ever year, I couldn’t wait to hear that same story. Why? Because children need to know that you delight in them and that when they are born is a sacred moment in your life. You’ve got to tell those kinds of stories. We also find that spirituality in children has geographic roots, depending on where you grow up and your surroundings during childhood. I grew up in Morgantown, West Virginia. Morgantown was a coal mining city back in the day when I was a kid. We had lots of mountains and valleys, anthracite coal, and coal mines all over the place. Just as spirituality is shaped by our environment, it’s also absorbed from our parents’ attitudes. So be aware of your own spirituality. If you use certain wording or a spiritual vernacular around your kids, that can help give them a sense of what you believe. As much as you can, share and be transparent about everything. Tell stories to your children—about when you were a kid, and about when they were kids, how important that was. Your stories will give them a sense of connectedness and tradition. Lisa Miller says to meet your kids where they are. Don’t try to fix their doubts, but do reassure them, because they’re going to have doubts. What spiritual questions are your kids are asking? Why did grandpa have to die? What happened to my pet turtle? Are you and Dad getting a divorce? Are we going to be bombed? Where’s heaven? If we know where Mars is in outer space, then where is heaven? Tough questions, huh? It’s really important to listen to these questions. You can also build a spiritual practice of some type with your kids. Does that have to be religious? No. It could be that you camp at the same site every year, or visit somebody’s grave. There are many ways to be spiritual as a family. Miller maintains the family needs to be a field of love all the time. So if you can practice non-judgment and forgiveness, that is really good—letting children know that their mistakes are part of learning and growth. Be positive. I remember as a parent those times when I crushed my child’s spirit, like when we were sitting at the dinner table and my youngest tearing up because I had made some comment I probably shouldn’t have. She teared up and said, “I can’t do anything right.” At that moment, I kind of crushed the spirit of my child. To take care of that and to tend that is really important, and takes a lot of patience. Finally, strive to do meaningful activities as a family that help other people. Kids really get excited about helping other people. You’re probably already doing a great job in many ways. But whether it’s your grandchildren, nieces, nephews, or your own children, try doing more listening to your children, really listening. Because they’re searching for meaning, too.  Karen Gottschall is a member of Harmony UU.